Johnny didn't need to rub my back last night to help me fall asleep. I stayed up too late reading this enchanting book, but I slept well afterward. I posted a few thoughts over here.... 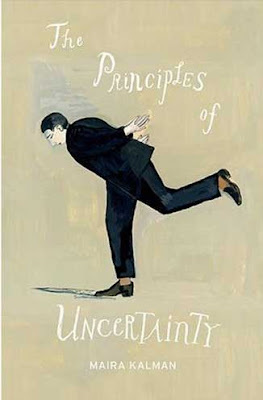 I think any female who frequents this here blog would love The Principles of Uncertainty, too. Mom, that includes you ~ treat yourself to a back-to-school prize, OK? God knows you deserve it! So that would be five three books I'm reading now. Geez. But I'll be finished with Kalman's book by tonight, mark my words. this book looks awesome! i'm going to take a run by turn row books! You in particular will luv it.